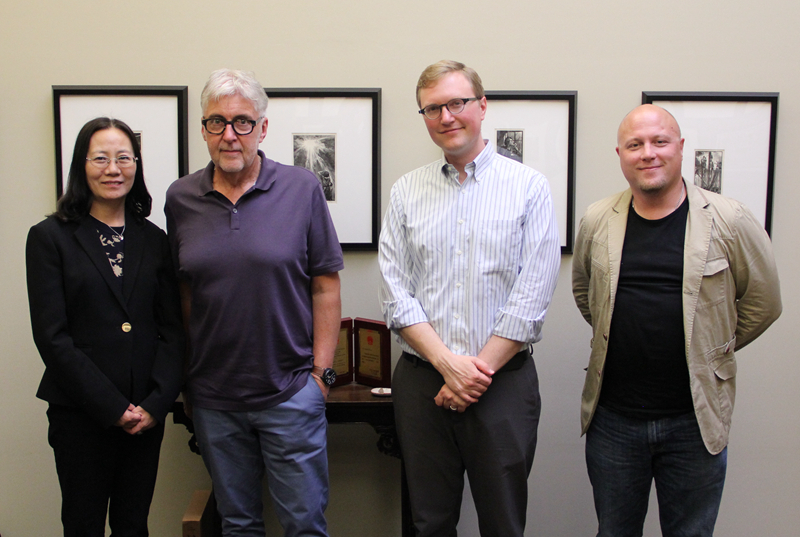 June 30, Consul Zhang Min visited the Arts Midwest in Minneapolis and met with President & CEO David J. Fraher, Program Director Adam Perry and Stephen Manuszak. They exchanged views on strengthening exchanges and cooperation in the cultural and artistic fields. Zhang spoke highly of the efforts and contributions made by the Arts Midwest in promoting Sino-US cultural exchanges in recent years. She said Arts Midwest signed a Memorandum of Understanding with CAEG(China Arts and Entertainment Group), laying a solid foundation for the long-term institutional cooperation in the future. The Chinese Consulate General is willing to deepen the close relationship with Arts Midwest, and to further strengthen the cultural and artistic exchanges and cooperation. President Fraher said that Arts Midwest highly valued the cultural communication and cooperation with China. He is very fond of Chinese culture himself. Arts Midwest would continue to invite Chinese art troupes to come to the US to perform and exchange in the United States, and continue to enhance the understanding and appreciation of Chinese culture in American Midwest. Arts Midwest, founded in 1985, is a non-profit regional arts organization headquartered in Minneapolis. Arts Midwest promotes creativity, nurtures cultural leadership, and engages people in meaningful arts experiences, bringing vitality to Midwestern communities and enriching people’s lives.